Karen P. Cronholm, Director, Regional Marketing, for EMD Millipore’s BioMonitoring Group, says that “Compressed air contains water vapor, particulate matter, oil vapor and droplets, and microorganisms,” and this is a critical area that wasn’t paid much attention to until recently. 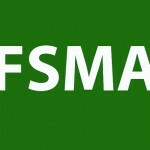 The new FSMA standard has created a great opportunity for their products, Cronholm explains. 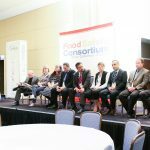 Of the first two sets of rules proposed under the Food Safety Modernization Act announced in January 2013, the Preventive Controls rule focuses on production and distribution sources and covers environmental testing of compressed air. The requirements for microbial air monitoring do not only apply to ambient air but also to compressed gasses used in the aseptic environment. 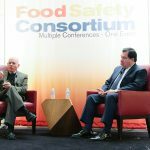 While FDA has increased the scrutiny and placed more responsibility on the food and beverage companies, there is still much ambiguity on the safety rules as there are a number of compressed air testing standards and guidelines, such as ISO® 8573, 21 CFR part 120 & 123, and the Safe Quality Food Program (SQF; which is being increasingly used by F&B companies to ensure compliance and safety). 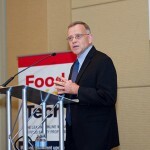 “There is increased interest in compressed air monitoring as required by FSMA, and there is also a lot of education needed around compressed air; how to specify air particle counts; what are the types of filtration; how to test, what to test, how frequently to test etc,” Cronholm adds. The RCS High Flow Touch Microbial Air Sampler is capable of fulfilling these requirements and furthermore assures easy operation for safe results. Some of the features include: RCS centrifugal based sampling; flow rate of 100 L/min; being portable, battery-driven, low weight instrument; validated system; maximum sampling efficiency; optimal design with aerodynamics diminishing air turbulence; sterility assurance – easy to disinfect, autoclave-able sampling head; and easy to handle – convenient operation by an integrated touch screen. “With this technology you can test samples and get results in a minute. They are very rugged devices, and faster than technologies currently available in the market,” Cronholm describes.